In shallow dish or pie plate, mix bread crumbs and dressing mix. In another shallow dish or pie plate, place sour cream. Dip each chicken breast in sour cream, coating well, then roll in bread crumb mixture; place on cookie sheet. If desired, spray chicken with cooking spray. Discard any remaining bread crumb mixture and sour cream. 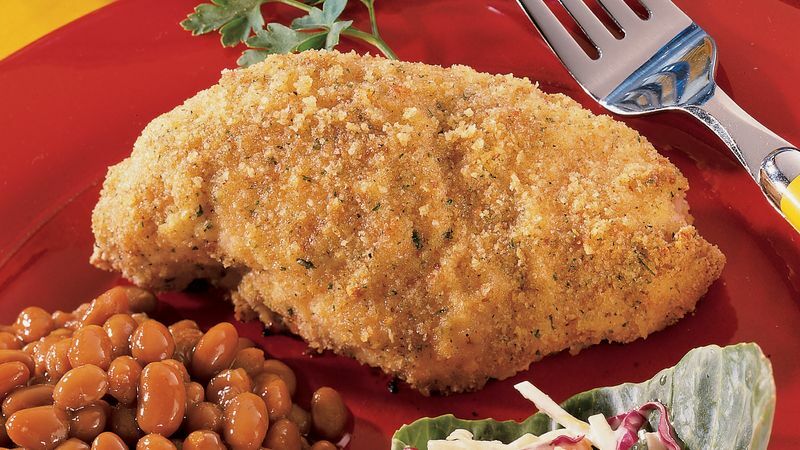 Bake 30 to 35 minutes or until juice of chicken is clear when center of thickest part is cut (170°F).